Full of magic, suspense, and mystery, Traci Chee brings her Sea of Ink and Gold trilogy to a close in this spellbinding final installment." I adore this series. Such beautiful writing! Cannot wait to see the conclusion! 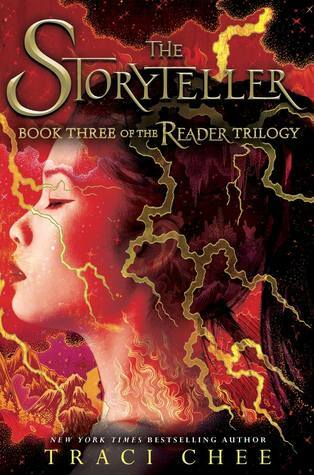 The Storyteller will be released on November 13, 2018. Nice! These covers have been stunning! Hope you enjoy this one once you get to read it! I've had The Reader on my TBR for MONTHS. haha I need to read it.